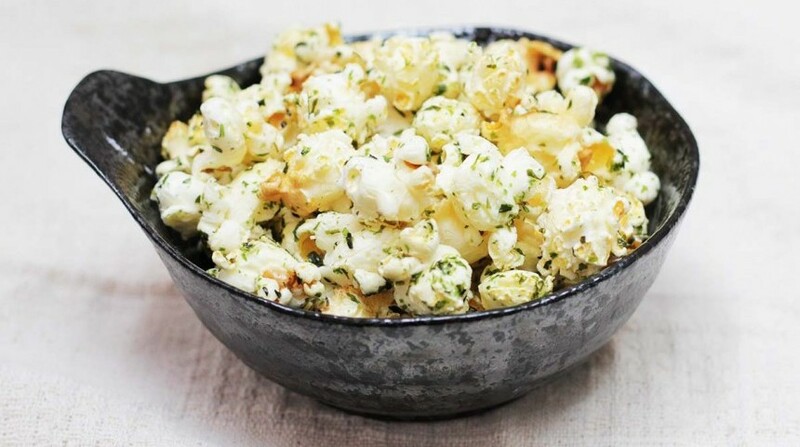 Heat butter in a frying pan until melted, then add to popcorn and toss through to coat well. Add sea salt and aonori and toss well to combine. Serve sprinkled with togarashi seasoning.